December is a busy month and a difficult time for most of us to focus on emergency preparedness, but December is a month that brings back memories of the Great Wind Storm we had here in Farmington, Utah on December 1, 2011. And I remember the Indian Ocean Tsunami on December 26, 2004 that killed 230,000 people, and the Haiti earthquake on January 12, 2010 that killed 159,000 people. This month, gather inexpensive baking ingredients into your food storage and and buy everything in one shopping trip. I call them Baking Basics. 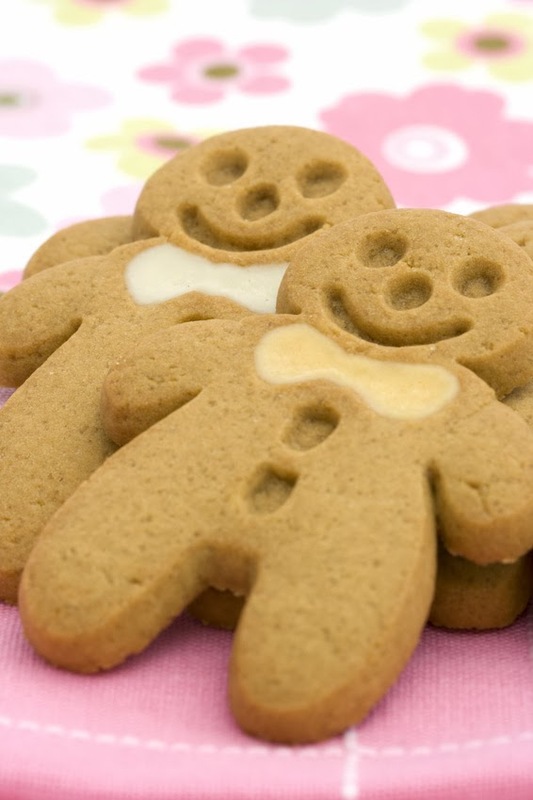 Things like vanilla, cooking spray, brownie or cake mixes, frosting, cornstarch, salt, baking powder or baking soda. It's super easy to stock up on them! And they all store well and have at least a 1-year shelf life. You may already have enough of these on hand for a 3-month food storage supply which is part of Step 1 of the LDS Home Storage program. My emergency focus this month is power and light so I gather such items such as batteries, lighters, flashlights and lanterns. During the winter we could experience a power outage, so having these items on hand is a blessing. Add a flashlight to your child's stocking so they can keep it in the drawer by their bed. And you will probably buy batteries already for toys or electronics, right? Just pick up extra for emergencies too. I usually have more success convincing my husband to buy an expensive preparedness item around Christmas-time. :-) Some suggestions might be a generator, a chain saw, a snow blower, a solar phone charger, a bread machine or that wheat grinder you've had your eye on. How about putting together an emergency gift basket for your college student, married children or other friend? And give some time to those less fortunate this year too. 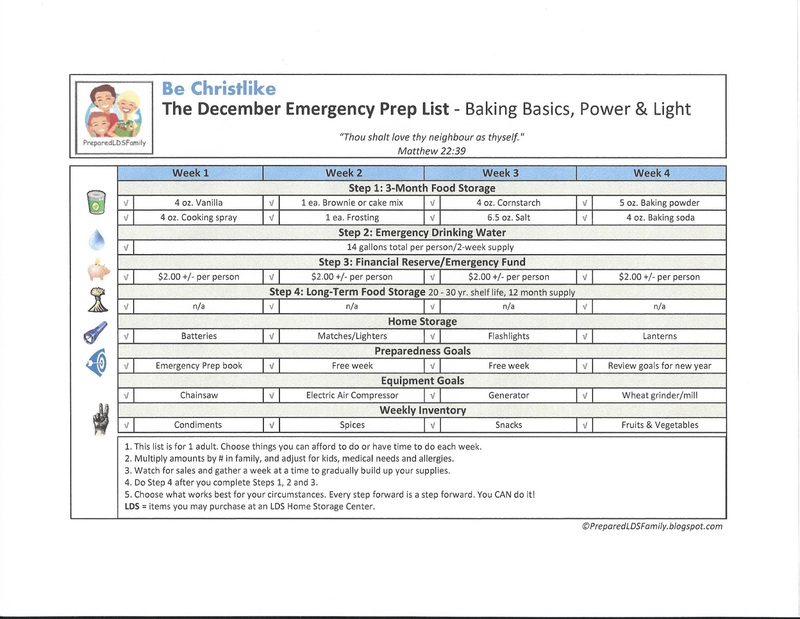 So, print the December Emergency Prep list below and hang it on your refrigerator, or jot a few ideas down on your Christmas list. You will be glad you did. Anything you do is one step forward. "I think I can, I think I can, I know I CAN!" I am thankful for my Savior, Jesus Christ, and his never-ending love and encouragement in my life. I know he watches over each of us and will help us become better prepared for emergencies. May we focus on his glorious birth at this time of year and desire to become more like him. Coming in 2017, a brand new website and new prep lists. I'm so excited! Thank you so much for this great resource. Will you be updating the lists to coincide with next years calender prior to January so as to make the 5 week list fit the months that have 5 weeks? We would like to put one list a month in each monthly ward news letter for the upcoming year. Ps Thank you again for this great resource. Hi Patricia, My 5 week January list begins December 27 to January 30. I know that sounds odd, but that's the way I do it. Thank you that works perfect. Valerie, Thank you so very much for this amazing list. I am our Evening Meeting Chairman. I was wondering if we could use this list and help our ladies in the ward? You are an angel! Yes, but you will want to use the January list. 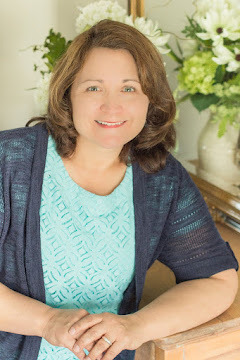 Hi Valerie, I love your website. Its so useful and informative. Wish I lived in Utah so I can go to one of your classes. 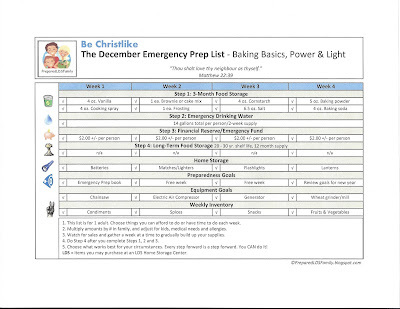 Could you maybe break down some items thatay be good in the emergency basket gift. Thank you again. I'm looking forward to seeing what you have for 2017 and sharing it with my ward. God bless you and your family. Thanks, Myra. A few items for a gift basket: wall emergency light (check Target), hand warmers, mittens, first aid kit (Walmart), Seychelle water filtration bottle (store.lds.org). Merry Christmas!